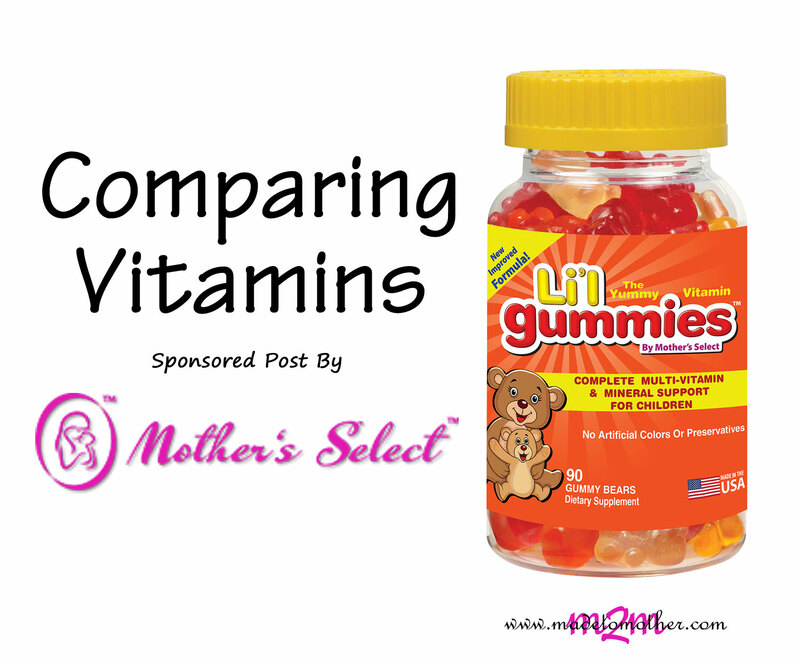 Mother’s Select approached me to review their products for mothers and children. 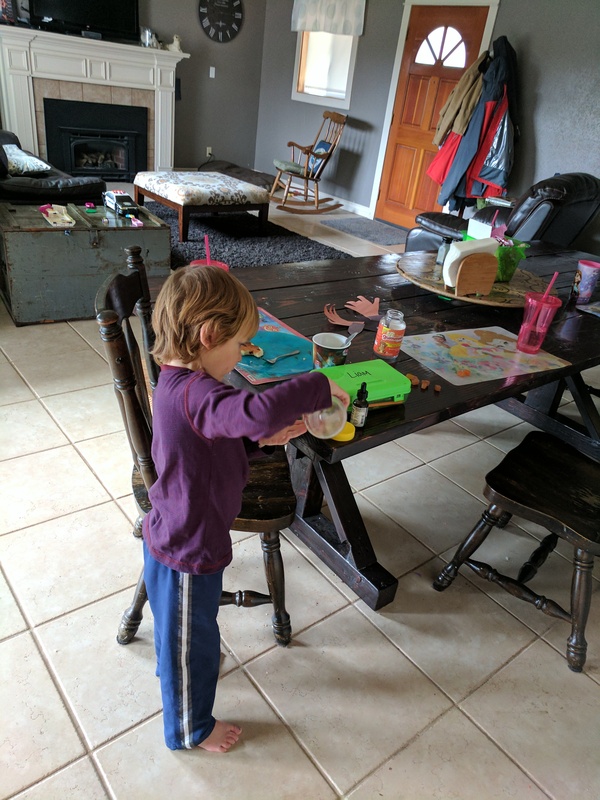 I received a three months supply of Children’s Supplements in exchange for my honest review. All opinions are my own. I hate the fact that the first ingredients for all chewable vitamins is always glucose and/or sucrose, but what can you do when you want them to not taste like vitamins, right? But I’ll address that in a second. As for other ingredients, both Mother’s Select Li’l Gummies and their competitor L’il Critters were fairly similar, except that Mother’s Select includes elderberry juice for coloring which is awesome because it promotes the immune system and helps combat sickness, where L’il Critters uses purple carrot juice. Still not bad, but I’m a big fan of elderberry in our homeopathic remedies. Comparing the two’s supplement facts, almost all ingredients and amounts are identical in both products, except that Mother’s Select contains almost twice as much folic acid as L’il Critters (so good for my two girls, and even boys/men benefit from taking folic acid). This one is the real kicker, isn’t it? Will I have to fight my kids to take them every day? I cannot tell you how many really good brands I’ve had to let go of because of this very reason. SO, how did Mother’s Select score? All three of my children preferred the flavor of Mother’s Select Li’l Gummies over L’il Critters. My oldest did mention the first week I made the switch that she liked the L’il Critters texture better (imagine true gummy bear vs Swedish Fish texture) than Mother’s Select but it wasn’t a deal-breaker. I buy L’il Critters at Costco, so it comes in a pretty big bottle of 275 gummies for $10.99. My three kids each take two a day, so we go through a bottle in about 45 days (that is, IF we take them every day). Mother’s Select Li’l Gummies come in a bottle of 90 for $15.90, so by the same calculations my kids would go through them in 15 days. Breaking down the cost per volume, it is much cheaper for me to stick with my old vitamins if I didn’t care about the difference in elderberry and folic acid. However, not everyone shops at Costco. 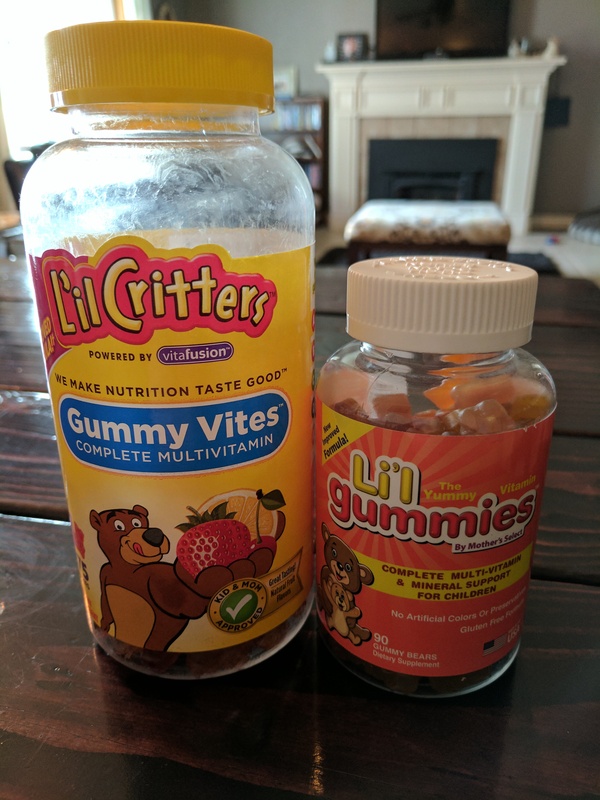 Comparing elsewhere L’il Critters are sold in bottles of 190 for $12.96 on Amazon and GNC for $15.99, which makes Mother’s Select much more comparable. Mother’s Select manufactures high quality health supplements for Breastfeeding & Nursing mothers, as well as Preconception, Prenatal, Postnatal and Infant products. They specialize in allergen-free and organic products that they believe are the highest quality in the world, and have become the go-to company for mothers wishing to rapidly increase their breastmilk supply, as well as their new specialty powdered infant products. Best known for their Nursing & Lactation Plus, Probiotics “The SuperBiotic”, and Infant, Powdered Vitamins/Probiotics, Mother’s Select also sells infant and children’s supplements as well!